기사 요약 : 뇌물죄 등으로 재판 받고 있는 박근혜 전 대통령에게 검찰이 1심에서 30년 징역형과 1185억원의 벌금을 구형했다. 이에 대한 법원의 판결은 이르면 3월 말에 내려질 예정이다. 박 전 대통령은 작년 3월부터 구속 상태로 재판을 받아왔고 지난 10월에 법원은 구속 기간을 6개월 연장한 바 있다. Prosecutors on Tuesday demanded 30 years in prison and a fine of 118.5 billion won ($110 million) for former President Park Geun-hye over massive corruption that led to her removal from office last year. The court is expected to *deliver its verdict (판결을 내리다) as early as late March. Park did not attend the hearing at the Seoul Central District Court where prosecutors made the sentencing recommendation. She has been refusing to attend her trial since the court extended her detention in October for another six months. The former president has been in custody since late March last year. 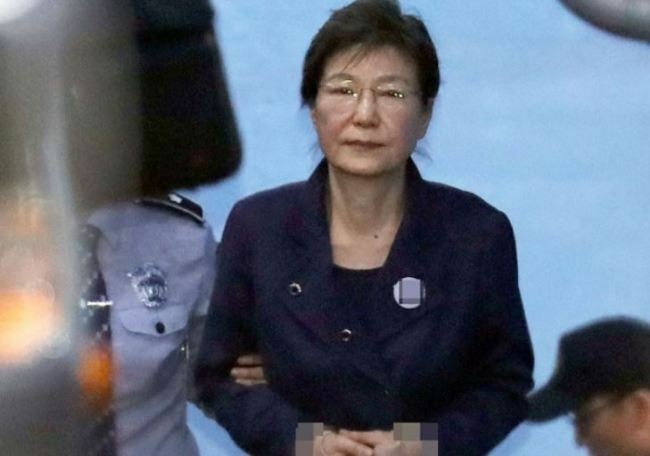 Park was indicted in April last year on 18 charges, including bribery, abuse of power, coercion and leaking government secrets. 기사 요약 : 미국 자동차 업체 GM의 군산 공장 폐쇄 결정, 미국과의 기준 금리 역전에 대한 부담, 그리고 미국 트럼프 행정부의 통상 압박 등, 이른바 미국발 악재들은 올해 한국 경제 전망을 어둡게 하는 대표적인 요소들이다. 특히 GM의 한국 시장 철회 움직임은 군산 지역 경제 뿐만 아니라 6월 지방 선거를 앞두고 한국 정부에 큰 부담을 주는 요소로 작용하고 있다. A global automaker’s move that could potentially lead to a withdrawal of business here, key interest rates pressures, and increasing trade pressure from the Trump administration -- these are the three major US-related hurdles weighing upon South Korea’s economy this year. In the industrial sector, GM Korea’s decision to shut down one of its Gunsan plants after 22 years of operation is increasingly imposing strain upon the local economy and Seoul’s government. In a macroeconomic perspective, Asia’s fourth-largest economy also faces the possibility of foreign capital leaking out following the imminent US key interest rate hike, as well as challenges in exports due to Washington‘s incoming tariff hike on imported steel products. Of them, the most tangible risk is the ongoing brawl over the US carmaker’s possible withdrawal from the local market, an event likely to devastate the southwestern city and burden policymakers ahead of the June local elections.